Free Download Perfect SD Card Data Recovery To Restore Encrypted Photos From SD Memory Cards! 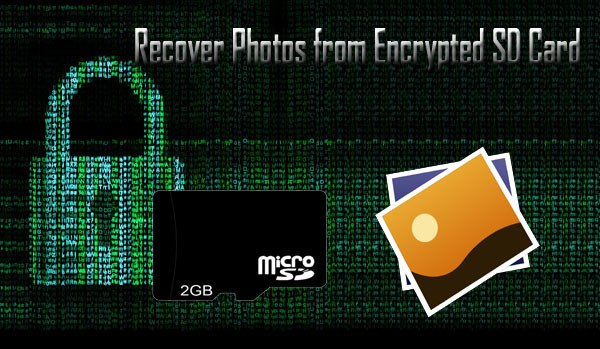 Rescue photos, videos as well audio files from any encrypted SD card. Get back encrypted media files from several make and model of SD card such as SanDisk, Transcend, Sony, Samsung, Kingston, Strontium, Lexar, etc. Retrieve media files from encrypted SD, MicroSD, miniSD, MMC, SDHC, SDXC, digital cameras, memory stick, pen drive and other external storage device. Preview recoverable files within the software before saving it on your system. 100% read only program, safe, secure & easy to use. What Encryption Does To Your Files? Encryption is a process that transforms the data into unreadable form. It converts the files into a code in such a way that only a authorize person can access it those who have right code or password. The idea of encryption looks very good. When you encrypt files, it simply alters the data instead of just hiding it. These days many hard drives, solid state drives and smartphones are self-encrypting devices (SED), it means that these devices have a controller chip that encrypts and decrypts the device’s data automatically. But the main disadvantage of SEDs is that there is no decryption solution. If the self-encrypting device gets physically damaged then data is lost. I have a Motorola MotoG3 and yesterday I conducted a factory reset to try to fix some dialing out issues. Before conducting the reset I removed the sd card as it had all my photos and videos on it and I didn’t want to lose them. I wasn’t aware but the SD card was setup as internal memory and was encrypted. After the factory reset I reinstalled the sd card and the phone states unsupported sd card and ask me to reformat my PC does the same. There are some really important photo’s and video’s on this card is there anyway to get them back? It has become very easy to encrypt files on SD card in order to restrict unauthorized access of data by unknown person. There are lots of applications available out there that can help you to encrypt your pictures, videos stored on your card and you can decrypt and access the files with password. In above mentioned example there is no problem with the encryption or decryption of SD card. The problem is that user has performed the factory reset before decrypting files stored on the card. After this you will not be able to access the card and files stored within it. In order to re-use the encrypted card you have to format it. Though formatting will make it accessible but erase all its encrypted data. Corruption to the file system on SD card can make the files inaccessible saved within it. File system corruption can occur due to virus/malware infection. Accidental deletion of encrypted data while you delete unwanted files. If you are having any of the above mentioned situations and lost your encrypted files from the SD card, then you start to look for a solution on how to get back encrypted files from the memory card. Fortunately, there is suitable solution is available through which you can easily retrieve encrypted files from SD card and the solution is Photo Recovery software. With the help of Photo Recovery which is a reliable encrypted SD card recovery software, through which one can easily rescue inaccessible or unreadable photos, videos as well as audio files from encrypted SD card and from other external storage devices such as mobile devices, digital cameras and camcorders, USB memory sticks, memory cards, etc. Also recover media files from encrypted SD card after Android factory reset. This encrypted SD card recovery software is very power and can help you effectively recover encrypted pictures/images of different file formats as well as other multimedia files from encrypted SD memory card. Whether your photos are encrypted or your SD memory card is encrypted or you are looking to restore photos from encrypted SD card after Android factory reset, you can try encrypted photo recovery tool to get your photos back. Below download encrypted SD card photo recovery software for Windows and Mac respectively. 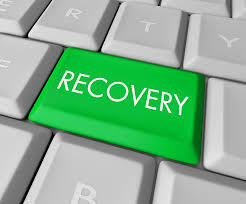 The encrypted SD card recovery software supports all models and all brands of memory cards such as SD card, miniSD, MicroSD, SDHC, miniSDHC, microSDHC, SDXC, miniSDXC, microSDXC, MMC, CF, SmartMedia, xD-Picture card, etc of SanDisk, Transcend, Strontium, Kingston, Samsung, Sony, Toshiba, HP, Lexar, etc. While you perform recovery process, make sure that process is not interrupted by any means or else you will not have successful recovery. While saving the recovered files, select another destination path or another storage location to save the recovered files and avoid saving of recovered to the same encrypted SD card. Helpful Suggestion – How To Decrypt SD Card on Android That Encrypted Using Settings? Android devices come with inbuilt feature that can allow you to encrypt SD card and files stored within it. So, there are people who have encrypted the files stored within the card by using the Encrypt SD Card Settings and now they are looking for the SD card decryption solution. Well, if you are the one encountering the same problem, then follow the simple steps mentioned-below to decrypt SD card in order to retrieve encrypted files. Note: The steps are from the Samsung Galaxy Note. If you are using any other phone, then steps may vary. On your Android phone go to Settings> Security> Encryption. There is “Decrypt Device” and “Decrypt SD Card” options are also available. Now simply tap on “Decrypt SD Card” and uncheck all the boxes on the next screen and then tap on Continue. This will start decrypting your SD card. On successful completion, you can now view the file stored within the SD card with ease and you do not have to enter any password or decrypt key to access your memory card data. If you follow the above mentioned tips, then you can help yourself to avoid losing your data. As of now I hope you were successfully able to extract photos and other files from encrypted SD card by using recommended Photo Recovery tool. Beside that you also got to know on how to decrypt SD card and its files on Android phone using settings. If you are unable to access your photos due to encryption of SD card, then here find out easy way to recover photos from encrypted SD card by using best encrypted SD card file recovery. Also learn what encryption does to your files? How to decrypt SD card on android that encrypted using settings?